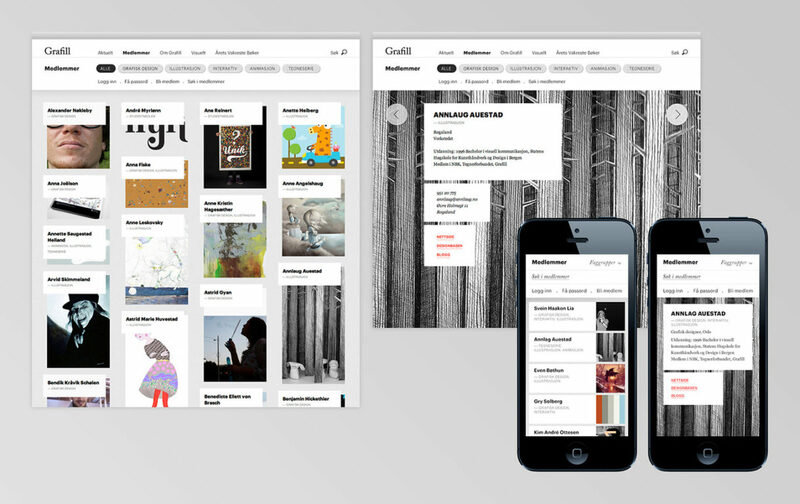 Interactive identity and service design for Grafill, the largest design association in nordic countries with approx. 3000 members. 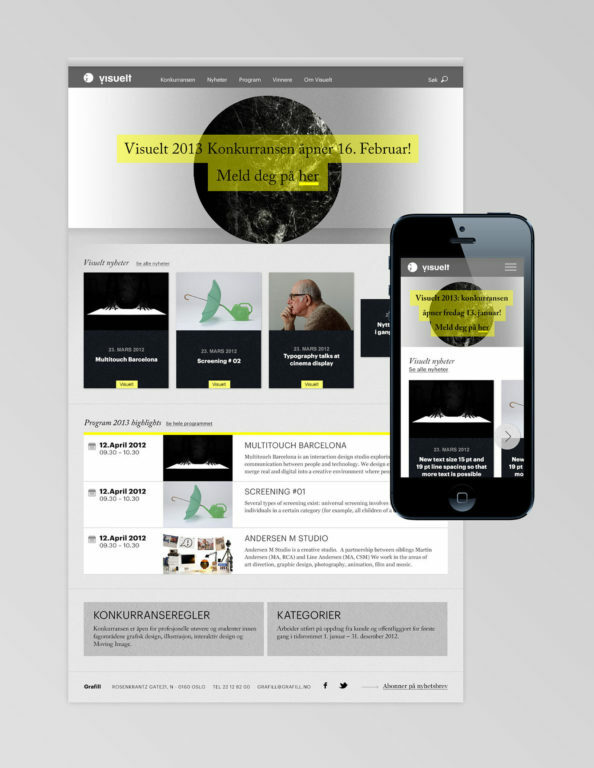 Grafill also hosts the Norwegian graphic design award “Visuelt” and the book design award “Årets vakreste bøker”. We organized workshops with target groups to help understand their needs. 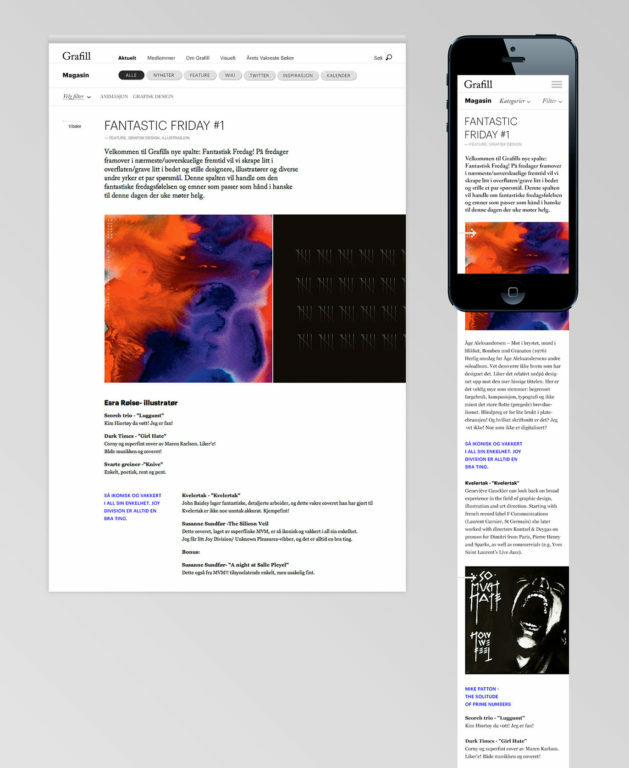 As a result we built a wholistic concept for this website, including not only concept, design and development, but also editorial structures and delivery of content. 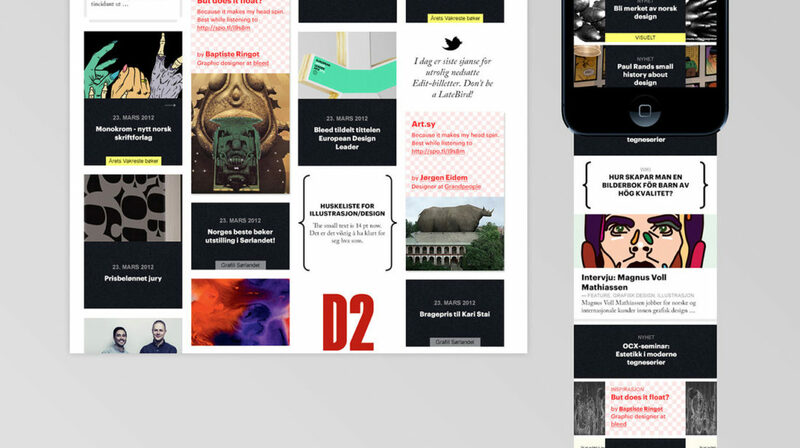 The Grafill website is based on tag organized content. In this way, the huge amount of information can be accessed and filtered in a smart and comfortable way by the user. “kalender” (=calendar) and “inspirasjon” (=inspiration). The page “aktuelt” gathers the complete content stream, which includes in-depth articles, inspirational articles, news, events, tweets, calendar and wiki (knowledge) articles. In the section “medlemmer” (=members) the 3000 members of Grafill have the possibility to upload a “personal businesscard”. This can be viewed by other professionals or potential clients. The section “wiki” provides fundamental design knowledge such as law support and business tips. 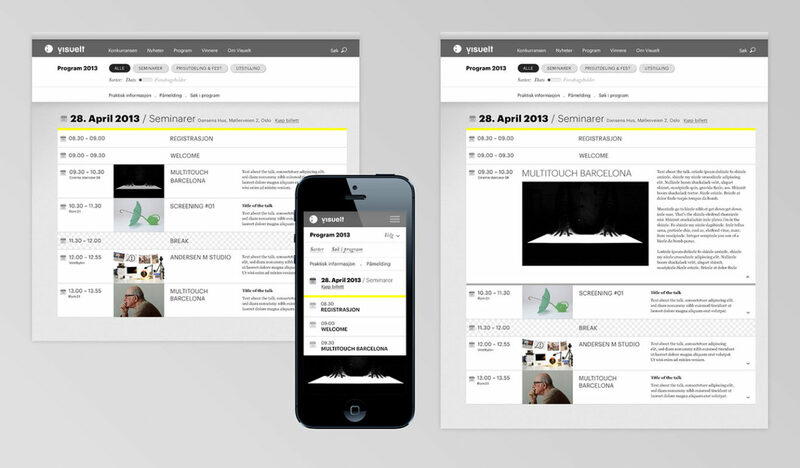 The two sections “Årets vakreste bøker” and “Visuelt” lead to integrated sub-pages which present the two main events of Grafill. The website reflects the professional standards of Grafill and it’s members. It is often applied with showcasing creative visual work and therefore uses classic fonts and low key elements. The chosen color scheme is based on black/white with sectional highlights in red, green or blue. The classic fonts Graphik and Adobe Caslon complete Grafills online identity. We see this website as an ongoing development. E.g. during 2013, the website will be enhanced with add-ons such as commenting functions for articles, integration of social media feeds and enhanced features for members. 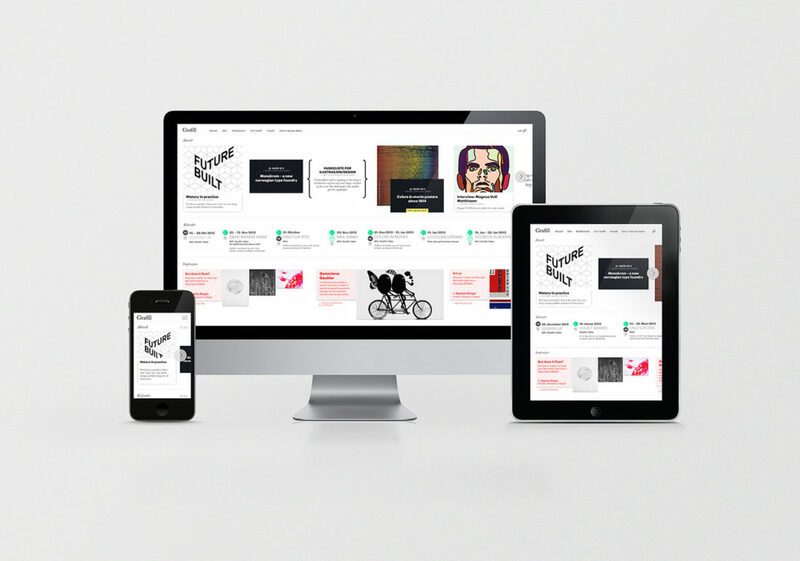 The website is fully responsive and built in HTML5. The backend is based on ExpressionEngine. Since the launch, unique users statistics have risen to approx. 8.000 unique visitors per month.